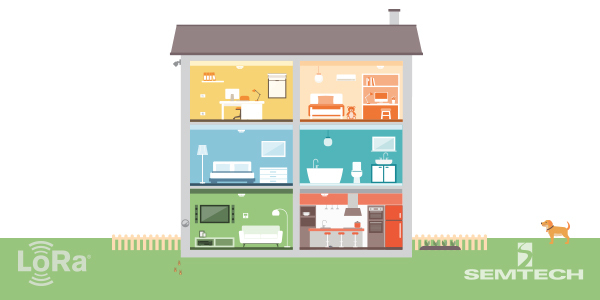 Among the many fascinating topics that captivated the 180,000 plus attendees at the 2019 Consumer Electronics Show (CES) were innovations for smart homes and buildings. From smart kitchen appliances to voice assistant-enabled lighting, consumer electronics companies are leveraging the Internet of Things (IoT) to connect everyday devices to the Cloud to create new experiences for consumers at a rapid pace. Business Insider forecasts that in the United States alone, more than one billion smart home devices will be deployed by 2023. While short range connectivity solutions already enable many smart home and smart building connected devices, more device manufacturers are turning to IoT technologies that offer both indoor and outdoor connectivity in one. 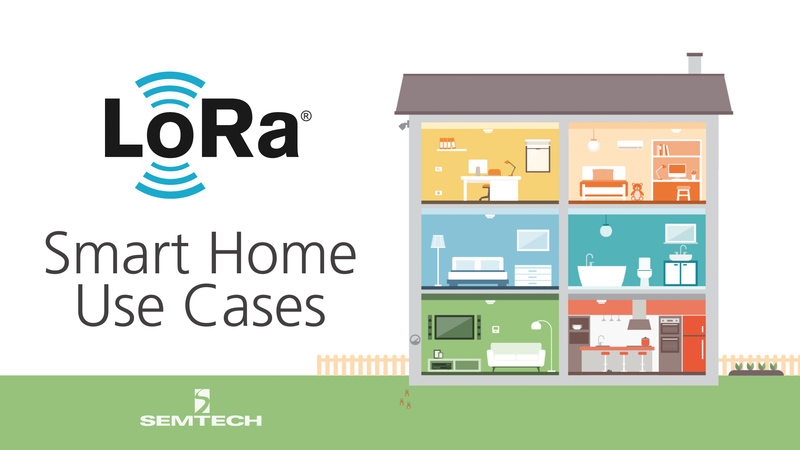 Semtech’s LoRa® devices and wireless radio frequency technology (LoRa Technology) flexibly supports the indoor use cases of a smart home or building while also providing long range outdoor connectivity for all devices within property limits. In addition, LoRa Technology’s ability to permeate dense building materials, including the ability to reach devices deployed underground, offers an advantage over other technologies challenged by those conditions. Devices connected to a LoRaWAN™-based network, the open, low power wide area networking (LPWAN) protocol based on LoRa Technology, can be deployed either privately or by connecting to a public LoRaWAN-based network thanks to the freedom afforded by unlicensed spectrum. According to the LoRa Alliance™, public LoRaWAN networks are available in over 100 countries to date. At CES 2019, Semtech announced the integration of LoRa Technology into a line of products for enterprise and commercial smart building applications from YoSmart, a high-tech enterprise specializing in smart home and life products. The new series of LoRa-enabled products includes thermostats, sprinkler controllers, door locks, leakage monitors, and smoke alarms. MI Products: The MiLocks LoRa-enabled smart door locks are Amazon Alexa-enabled and controllable with a mobile app. Eddy Solutions: Smart water management solutions help homeowners or property managers monitor water usage and alert users to potential leakage, pipe damage or other water-related risks. HEX SAFETY: Smart Fire Evacuation System leverages LoRa-enabled sensor data to dynamically direct occupants to the safest exit rather than the nearest exit route of static exit signs. Homeowners and property managers aren’t the only beneficiaries of smart home and building technologies. Commercial real estate (CRE) companies also stand to benefit from solutions that leverage LoRa Technology’s easily deployed, long range and low power solutions. By embracing integrated IoT solutions enabled by LoRa Technology, CRE businesses are able to equip properties with services that reduce maintenance and operating cost while creating value for dwelling inhabitants, and a potential revenue stream for the provided services. Learn more in the Semtech white paper: Smart Buildings Transformed Using LoRa Technology. LoRa-enabled smart home and building devices are readily available today with a wide range of sensor products available in Semtech’s LoRa Community™ Catalog. In the Catalog, users can also filter to see LoRaWAN CertifiedCM devices, products certified by the LoRa Alliance as compliant with the LoRaWAN specification and thus interoperable on any LoRaWAN network. LoRa-enabled device manufacturers can also submit devices to be included in the catalog for free.